Veterinary Career Services is proud to offer this important Webinar: An Update on Feline Hyperthyroidism with Dr. David Bruyette, DVM, DACVIM on Wednesday, November 8th at 12 Noon. Does feline hyperthyroidism continue to increase in frequency? Do environmental, genetic and dietary factors all play a role? A review recent AAFP recommendations regarding diagnosis and treatment of hyperthyroidism. Does azotemia have a profound negative impact on survival? 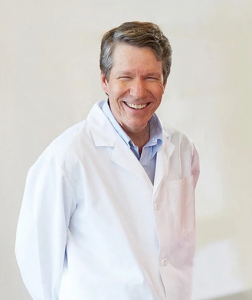 Dr. David Bruyette is presently the Chief Medical Officer of Anivive Lifesciences and President and CEO of Veterinary Diagnostic Investigation and Consultation. He went to veterinary school at the University of Missouri and completed an internship at Purdue University. 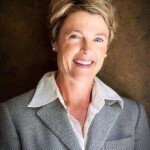 Dr. Bruyette then pursued a residency in small animal internal medicine at the University of California-Davis. Throughout his career, Dr. Bruyette has held several positions in California. He was a Staff Internist at the West Los Angeles Veterinary Medical Group and a member of the Department of Comparative Medicine at Stanford University. Dr. Bruyette was an Assistant Professor and Head of Internal Medicine at Kansas State University and Director of the Analytical Chemistry Laboratory. From Sept 1996 until Jan of 2017, he was Medical Director of the West Los Angeles Animal Hospital.